We help our customer to audit, review, validate, procedures, systems when it comes to do it right from beginning, to assure you get what you paid for, that your product does what is supposed to do, to ensure product is in compliance with any given or expected standard in the expert world is referred as to “fit for purpose”. Our expertise in quality management systems give us the necessary resources and tools to conduct onsite testing, inline testing, batch testing, visual inspection, quality control. Also when required we do sampling testing and send it to qualified laboratories for a more in depth detailed report. 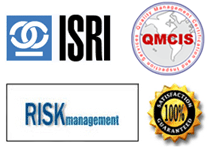 As a genuine inspection and certification proving group we are very much there in extending providing quality, safety and testing services over the years. We have a thorough understanding of the global and local market demands and customer needs, and can help your organization in the area of quality assurance.